The Network Enabled Operations event took place from January 24th through Jan 27th 2011 in Arlington, VA at the Crystal Gateway Marriot. CSFI had the honor to be one of the sponsors. Before I get into the more granular aspects of cyber, I would like to say that if you are part of the Defense industry, military, NATO, or even just plain IT industry, you MUST make plans to attend this event next year! This was my first year attending the IDGA’s event, and I must confess that I got a lot out of it, not only in terms of knowledge but also the opportunity to network with a range of cyber professionals, strategists, military members, industry leaders and the list goes on and on. This was an event that concentrated on Network Centric concepts, technologies and solutions. Netcentric, or “network-centric,” refers to participating as a part of a continuously-evolving, complex community of people, devices, information and services interconnected by a communications network to optimize resource management and provide superior information on events and conditions needed to empower decision makers. To my knowledge, the main goal of this event was to bring about the necessary efforts to better support the war fighter through the concept of ONE network functioning in harmony in space, air, land, sea and cyberspace. While all presentations had aspects of cyber, some presentations had the entire focus on cyber security or cyber warfare. The first day of conference had a well-balanced agenda covering Network Centric Concepts and technologies, cyber security and even cyber Intelligence. I was quite impressed by SiCore Technologies for their cyber security inner layer defense and hardware assisted anti-tamper protection. I had a great conversation with Todd Lowe; please feel free to contact Todd if you have any questions about the presentation: tlowe@sicore-tech.com . Objectivity, presented on Cyber Intelligence as they have developed a technology that has the capability to correlate and aggregate data in the backend at extreme fast processing rates. Brian Clark brian.clark@objectivity.com told me they have created a partnership with Palantir which would integrate with Objectivity and used as the frontend part. Their site can be viewed at http://www.objectivity.com. These vendors are thumbs up in my book! 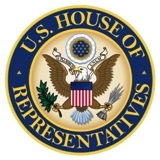 DoD Acquisition, Development, and Fielding of Technology to Support a Network Enabled Force Honorable Frank Kendall Principal Deputy Under Secretary of Defense for Acquisition, Logistics, and Technology. Mr. Kendall’s speech on the DoD acquisition current status was clearly a message of change. He mentioned that the DOD is not trying to spend less but spend more intelligently with activities that are more productive and lean. He said, “It is about managing cost more aggressively,” and he also talked about the need to change our erroneous cultural thought of “punishing people for not spending their budget money” when we in fact should be rewarding people for spending tax money wisely. “There is no war on profit” as some in the industry may claim, but a stronger effort from the DOD to stress performance and competitiveness is needed. “Discover redundancy, and then do it better than your competition!” Ask yourself: Is this executable and affordable? Make sure to have a business case that can stand on its own feet with a strong focus on performance; this seems to be the new DOD direction for contracting work. I truly enjoyed Mr. Kendall’s insight as many contractors struggle to sell their cyber solutions to the DOD, especially smaller defense contractors. “Treat network as a weapon system” and fight through cyber attacks. The weapon system mindset applies to cyber just like air, land, sea and space. Disconnecting our networks should not be an option. Cyberspace in not containable within a region. Who is in charge, and who has the authority from all of our COCOMs to pull the trigger in the cyber domain? Brig. Gen Charles Shugg talked about some of the questions like these that are asked from the top down. He touched on topics such as collateral damage in cyberspace and how we can guarantee that offensive operations would be contained and not spread out in a self destructive way. Brig. Gen Charles Shugg delivered a solid and realistic presentation covering our current USAF posture in cyberspace and the many issues we have yet to overcome! I have listened to many leaders in this life, but Retired General McChrystal is in a category of his own. He had me hanging on to his every word and left not only an impression on me, but also the desire to excel at what I do. GEN Stanley McChrystal concentrated on the true meaning of working as a network, the need for real time communication and data exchange. He spoke about the need for discipline to make a network work, to “share consciousness and purpose” where everybody knows everything at all times, to be part of a living and breathing entity as one. Leadership does not mean making decisions all the time but being involved all the time and allow others to make decisions based on your vision as a leader. How do we lead a network? Even though our networks are dispersed, we still fight like a phalanx, where the war fighter is shoulder to shoulder dependant on data. As leaders, we make that data flow where it needs to go; it is about mutual dependence and trust. Aggressive use of technology changes the dynamics, which will give the leader of today the necessary set of options to operate. 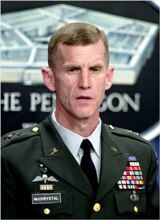 Retired United States Army General Stanley McChrystal has been appointed a Senior Fellow with the Jackson Institute for Global Affairs at Yale University for the fall 2010 semester. General McChrystal, former Commander of the International Security Assistance Force and Commander of United States Forces Afghanistan, teaches a graduate level seminar for students in the International Relations Master’s program.